After years of using spreadsheets to inventory assets and manage work, the Arlington, Texas Parks and Recreation Department realized it was time for an update. With a large system of assets to maintain and a growing list of work to do, the team needed a way to become more effective, efficient, and productive. With 92 parks and 5,000 surface acres to maintain, Arlington needed a better way to manage its daily operations; the manual methods weren’t cutting it anymore. “In the field, team members would create their own lists for work management. If the lists became lost, the work may not get done,” explains Scott DeGrant, asset system administrator for the City of Arlington. Arlington Parks & Recreation Asset System Administrator, Scott DeGrant, shows us how they use Cartegraph to optimize their workflow and return better data. In February 2014, the department’s asset management team implemented Cartegraph—creating a centralized tracking system for more than 7,000 assets. “With Cartegraph's Operations Management Software, we can communicate with our teams in real time. Anyone within our work group can see progress of our projects, make requests, and share information,” says DeGrant. That real-time flow of information is enhanced with Cartegraph for iPad. “We have more than 50 iPads in the field transmitting information to us throughout the day,” says DeGrant. Field crews can clearly see tasks on their to-do list, mark them as complete, or find additional tasks nearby. "Cartegraph gives us the data we need to leverage our resources. We have the ability to quantify everything we do." With Cartegraph OMS, the Arlington Parks team has not only eliminated inefficiencies in their workflow they’ve also been able to meet strategic goals they didn’t have time or capacity to address in the past. "We save travel time, windshield time, time spent getting in and out of the truck. It may seem small, but that time adds up." Mobile work management. With Cartegraph for iPad, the Arlington Parks Department has eliminated paper work orders. Field crews now get assignments issued to them by the supervisor digitally—saving paper and time. Analytics-powered workflows. 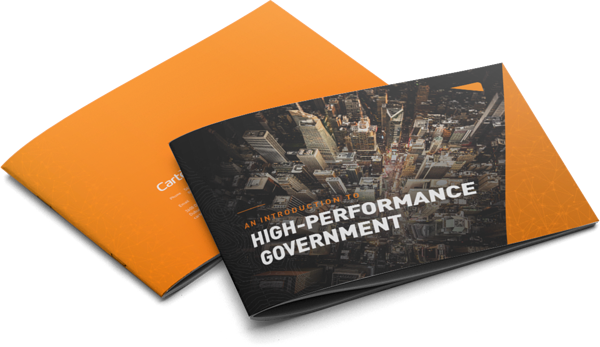 With Cartegraph, Arlington is able to capture data, analyze it, and prepare for the future. After just one year of utilizing Cartegraph, DeGrant and Fairman hired Larry Miglets as an analyst to actively monitor and identify opportunities for efficiency gains. He will be a critical part of Arlington’s data-driven decision-making moving forward, and will use Cartegraph to help the City deliver the best possible outcome, no matter the situation. Centralized information. With cross-device access, team members can access tasks and workflow histories from anywhere. Workers in the field have access the same information as people in the office.